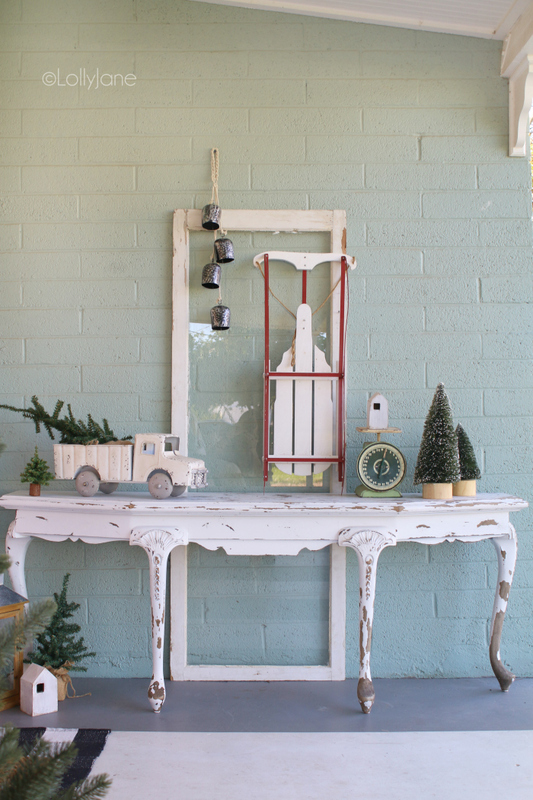 Wow your guests as they come up to the front porch for all the holiday gatherings. 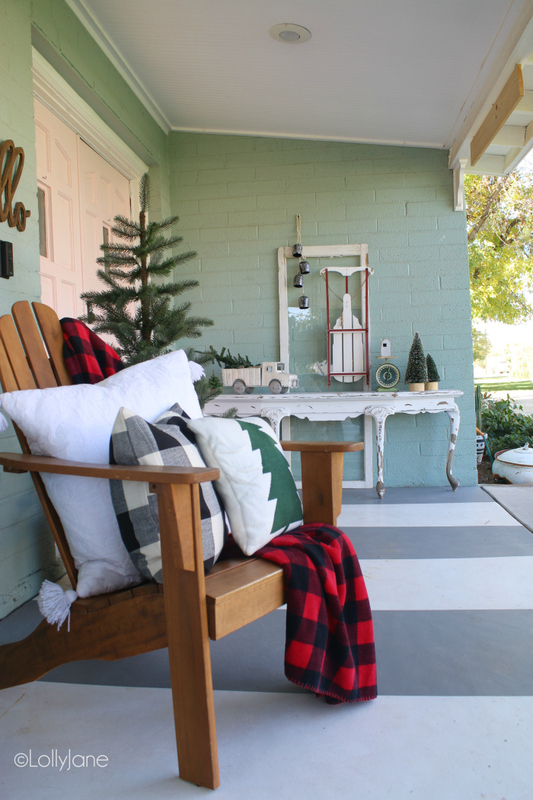 Grab some easy inspiration with these 10 Christmas Front Porches. 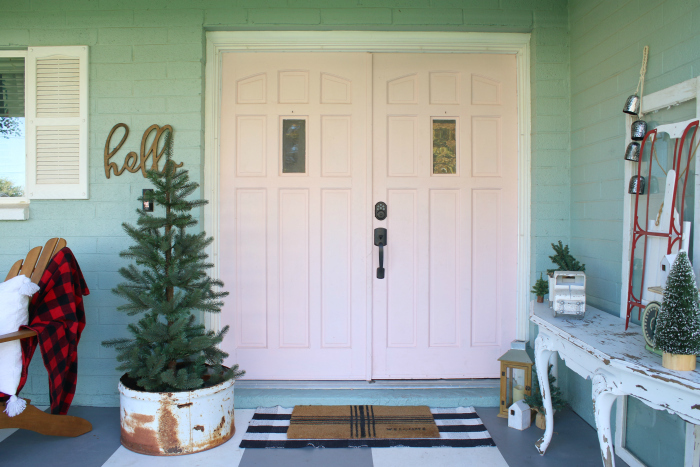 If you’ve been following our blog for awhile, you’ll note that the current front doors are pink this year instead of cheery red like last years classic farmhouse Christmas porch or mustard yellow like the year before’s farmhouse friendly Christmas porch decor. What can I say? I love change! And color 😀 Check out our easy Christmas outdoor ideas then scroll down for 9 more amazing Christmas porch ideas! Big thanks to Taryn Whitaker for putting this fun blog hop together! Next year’s porch will be quite a bit different too since our new doors will be here next month, I’m so excited! We’re keeping the double doors but going DTUCH!! Ack, can’t wait for all the natural lighting in my current dimly lit entryway. We brought back our favorite vintage bucket with our thrifted Charlie Brown tree. 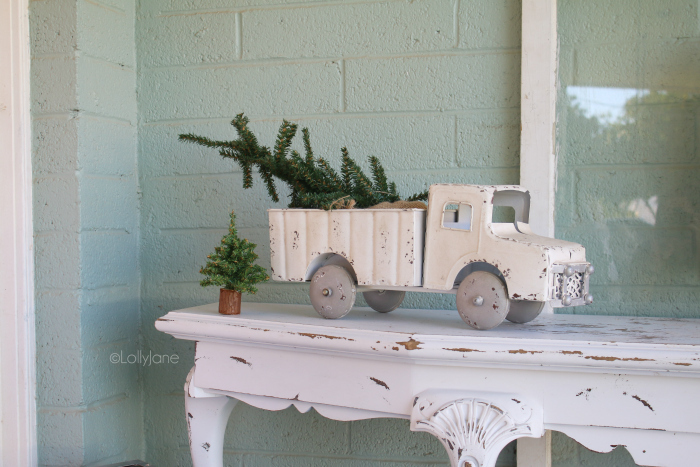 The rest of the decor was recycled from years of collecting, I didn’t buy one new thing this year and I’m glad. 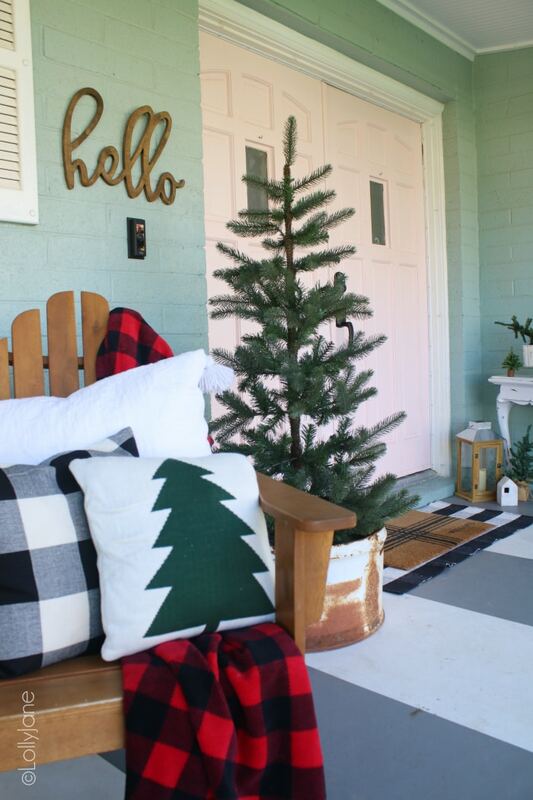 It’s tough to “keep up with the Joneses” so it was refreshing to keep it simple this year and be done setting up the porch in a matter of minutes. We hope you’ve enjoyed our quick Christmas porch decorations. Check out 9 more gorgeous porches below and be sure to click over and tell them we sent you! Always the most fun, your spirit shines through in your decor that’s for certain! I adore your style. And every time I see your door it makes me want to paint mine! 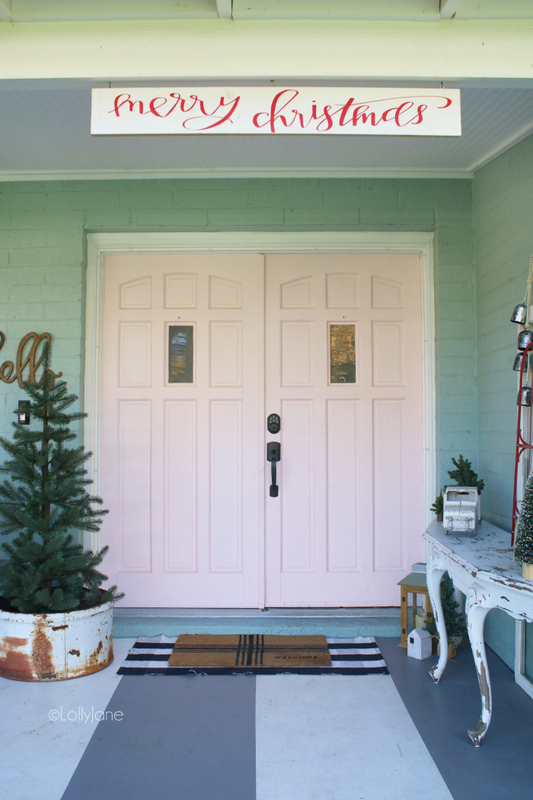 Such a cute front porch! 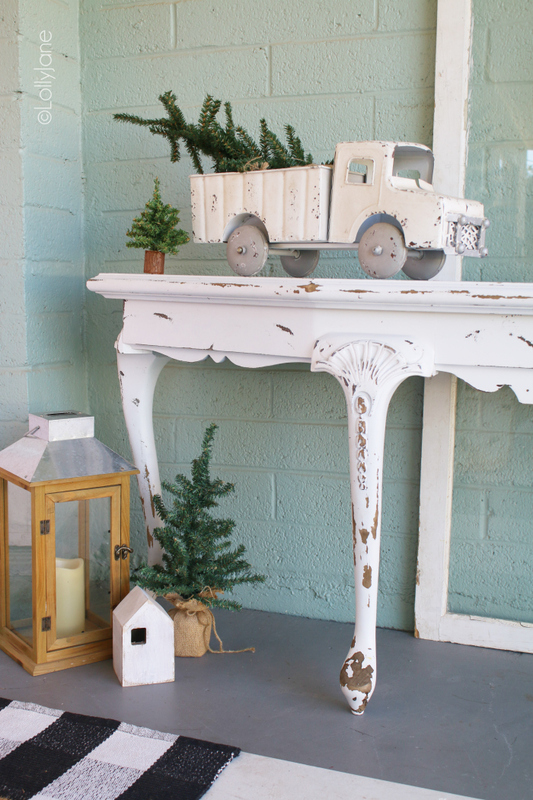 Love the little vignette on the table! What fun changing your door colour is! Definitely changes the look of your porch. Love the pink!